AvL’s 1.0m Manual FlyAway Antenna System weighs less than 70lbs when packed and is compact enough to fit into one airline checkable, IATA-compliant case. The robust carbon fiber reflector is rugged enough for operations in harsh conditions. 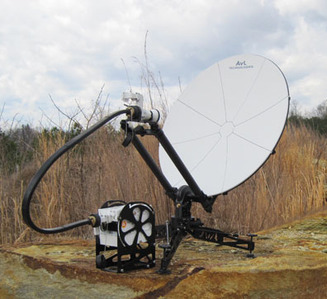 The antenna’s tripod base can be anchored, and the entire antenna assembles in 5 minutes.